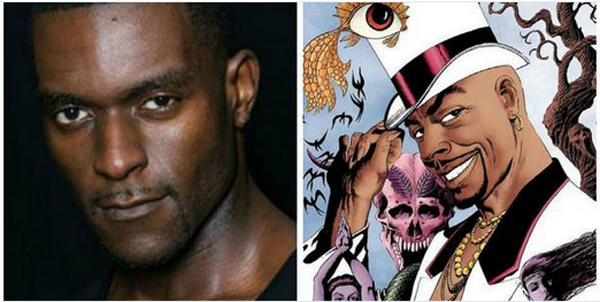 The latest casting news for NBC’s fast approaching Constantine series has just been announced, with Michael James Shaw joining the show as Papa Midnite, a character who will be well known to fans of Hellblazer, and was played by Djimon Hounsou in the 2005 Constantine film adaptation. Shaw’s Papa Midnite is set to be a recurring guest character in the show, which features Matt Ryan as magus John Constantine, alongside Angélica Celaya as Zed and Harold Perrineau as angel Manny. For those unfamiliar with the character, Papa Midnite is a powerful voodoo practitioner, businessman and mob boss, based in New York City. After betraying a slave who asked for his aid in overthrowing their masters, in the 18th century, Midnite was forced to decapitate his sister and was cursed with immortality by the angry slaves. Midnite still has his sister’s skull and uses it to talk to the dead. He is both an occasional ally and sometime enemy of John Constantine depending on the situation. How much of Papa Midnite’s story will make the transition to the show remains to be seen and more importantly, Midnite could easily be an ally or a foe, something that opens up numerous story possibilities, one being the Mnemoth story which introduced the character in Hellblazer #1.